Your patio and driveway have become so damaged that they are getting dangerously slippery? Order the services of Excellent Carpet Cleaning. We are a professional hard floor cleaning and jet washing company providing first-class cleaning services in Hounslow Central TW3at an affordable selling price. We will gladly provide you with the specialized scrubbing, hard floor cleaning, polishing, sealing, tile recoat and anti-slip protection service you require. Excellent Carpet Cleaning is a leading hard floor cleaning company, which provides reasonably priced and yet high quality hard floor cleaning and polishing services, grout and tile cleaning, hard floor sanding service, vinyl floor cleaning, slate and stone floor cleaning in Hounslow Central TW3. Our specialised grout and tile cleaning company can provide you with professional floor sealing and polishing, interior and exterior stone cleaning, wood cleaning and grout colour sealing and recolouring solutions. We offer trustworthy and insured commercial and domestic hard floor maintenance services in the area. Our cleaners arrive with the expert cleaning tools and solutions to clean any kind of hard floor indoors or outdoors. The floor is hoovered with a pro vacuum and checked out for any stains and other dirty areas. If there is polish or other sealing on the floor, it is removed with the acceptable tools. The solutions are tested on a small spot before being used. The stains are pre-treated, and then a spray or other suitable method is used to clean it. Depending on the sort of floor being cleansed, the cleaners may scrub, rinse and dry the floors. For some types of floors, modern technology is used for the heat, emulsification, pressurised cleaning, and efficient hold of the waste materials. 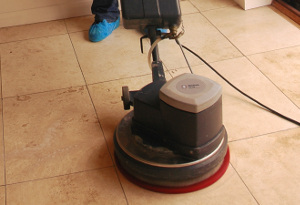 Once the floor and grout surface have been professionally cleaned and ongoing protection is accomplished with an impregnator. Our organization provides expert jet washing, patio cleaning, driveway cleaning and other exterior cleaning of decks, drives and paths. We have powerful pressure washing devices, and will help make your outdoor space look rejuvenated. So, if your outdoor or indoor hard floor requires cleaning, make sure you book our hard floor cleaning and jet washing services! Just contact 020 3404 0500 or give us an online order below. Our customer care operators are there for you, so you will quickly be receiving a written verification for the reservation. We will be able to offer you same day service, but we are also available every day. We need no downpayment for booking either. Our rates are fixed, with no covered fees. We prize clients who book more than one of our services at once with very attractive discounts. Those who book early on, frequent clients, firms and property owners will get preferential rates for all of our services. Don’t wait - book our hard floor cleaning service and jet washing today!